According to some social critics, the digital age involves a retreat into the isolation of intelligent machines. Acclaimed scholar Stefana Broadbent takes another view, that digital technologies allow people to bring their private lives into the often alienating world of work. 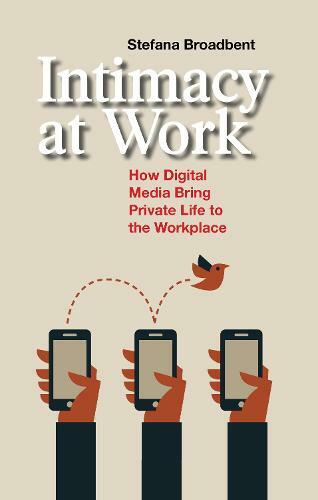 Through ethnographic evidence and data gathered from large samples in Europe and the U.S., Intimacy at Work looks at a paradox in modern life: Although human beings today spend so much of their waking hours working, they remain increasingly connected to family and friends-because of digital and social media. This book -shows how portable communications sustain personal networks offering a sense of identity, comfort, support, and enjoyment in the workplace;-demonstrates through numerous case studies that digital technologies provide a kind of "safety net" in times of economic crisis, softening the precariousness of existence;-is a revised edition of a volume published in French (L'Intimite au Travail, 2011), which won the prestigious AFCI Prize for books on business communications.